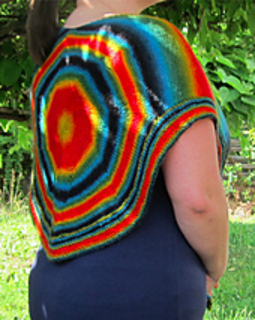 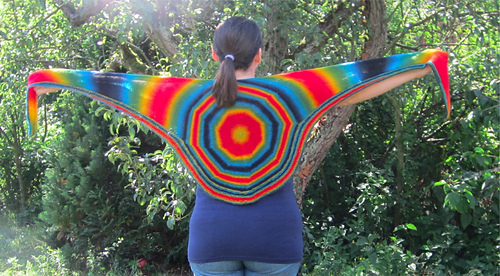 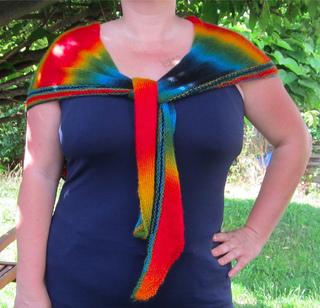 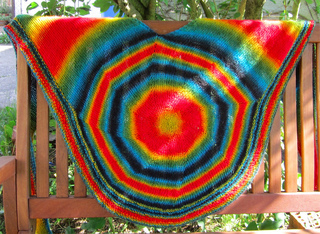 Arcus is an unusually shaped shawl. 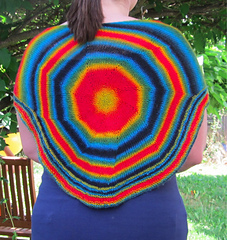 I designed it especially for sock yarns with long colour repeats and these are the yarns, which will work best with this design. 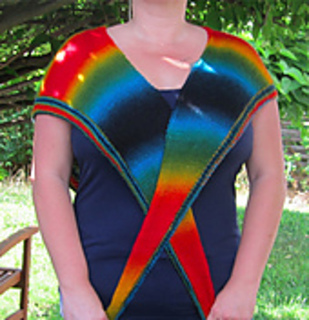 The top of the shawl is V shaped so that the sides will sit on the shoulders comfortably, without sliding down.